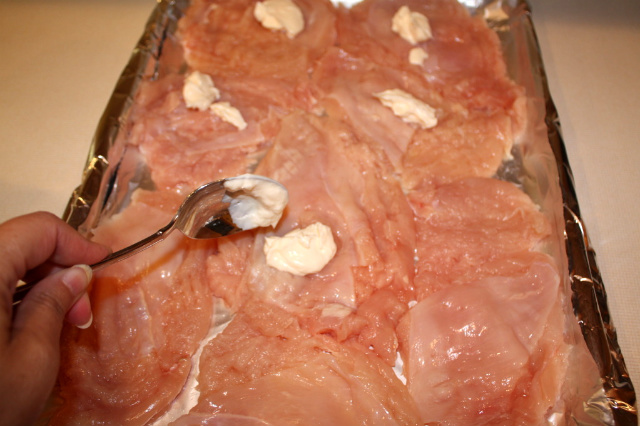 To prepare the bacon chicken, all you have to do is dip your chicken breast in a thin layer of mayo, coat in a mixture of bacon bits, garlic powder, and salt, and bake to perfection in the oven. It takes just ten minutes of prep, and then around fifteen minutes in the oven. It doesn’t get much easier than that! For the chicken: 1 Combine the soy sauce, mirin, vinegar, honey, garlic, and ginger in a large, nonreactive bowl. If using chicken breasts, cut them in half. 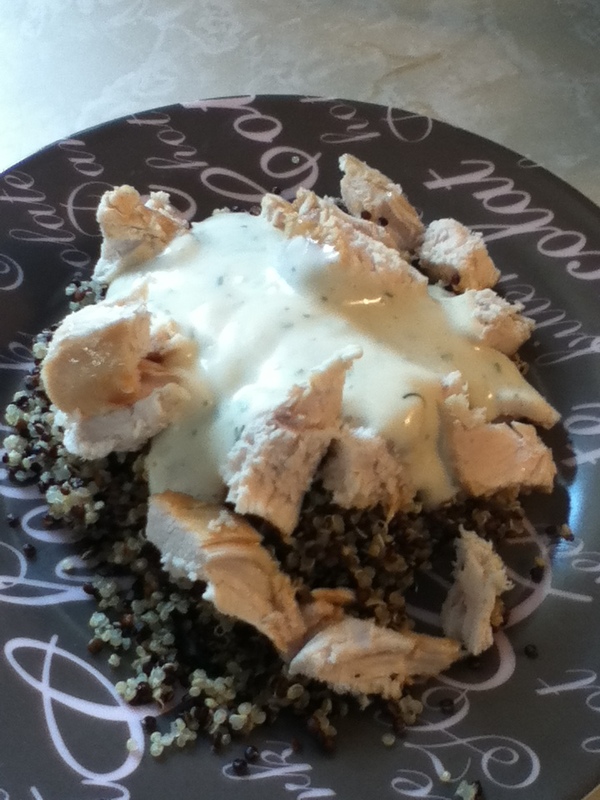 Truss the chicken; rub the remaining mayonnaise over the outside of the bird. Place the chicken breast-side up on a rack in a shallow roasting pan; place in the oven and bake for 20 minutes. Reduce the heat to 375 F and continue roasting for 1 to 1 ½ hours, or until the juices run clear when you prick the thigh with a fork or knife.